Restorative and cosmetic dentistry offer a variety of benefits to your smile, health and overall quality of life. However, these transformative procedures aren’t usually covered by your insurer. Personal expenses can play a role when deciding to make your smile bright, strong and straight. At Contemporary Health, we never want cost to stand between you and the smile of your dreams. We believe that all our patients deserve a beautiful and healthy smile, but we realize that cost can be an important factor. To learn about the payment and financing options at Contemporary Dental Health, please call us today at 503-636-4069 to speak with our patient coordinator. 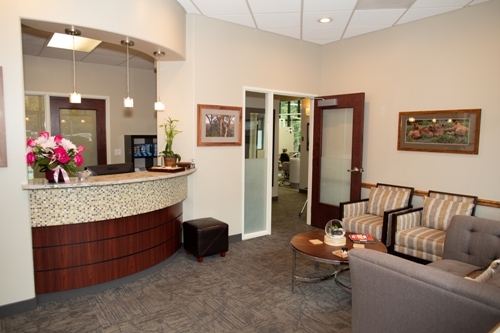 Our friendly office welcomes patients from Lake Oswego, West Linn, and Portland, Oregon. Insurance coverage can vary greatly depending on the specific plan your employer has chosen for you. It is always important to read and understand your own policy. Our office will happily provide you with completed claim forms for treatments performed at Contemporary Dental Health to submit to your insurer for reimbursement. Dental insurance differs from medical insurance in that it is generally only designed to help defray the cost of dental care, not cover it altogether. While we gladly process all insurance claim forms, financial arrangements may be made prior to the initiation of treatment for extensive procedures. Payment is due for treatments on the day of service. If you have dental insurance, we will estimate you co-payment based on the information provided by your insurer. If a balance remains after your insurance has p[aid their portion, you will be billed for the remainder. You are responsible for paying that amount, not your insurance company. If you would like to finance your procedure instead of paying up front, we gladly accept CareCredit®. This popular financing company offers a number of options including 0% APR or a low-fixed APR for 48 months or more. You can apply for CareCredit on their website or at our office. Approval often happens in a matter of minutes. Our friendly staff is standing by to answer all of your insurance, payment and financing questions. Call us today at 503-636-4069 to learn more. We proudly serve the Lake Oswego, West Linn and Portland areas of Oregon.